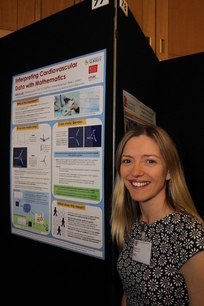 Jane Lyle presented a poster at the STEM for Britain 2018 event held at the Houses of Parliament in Westminster on Monday 12 March. 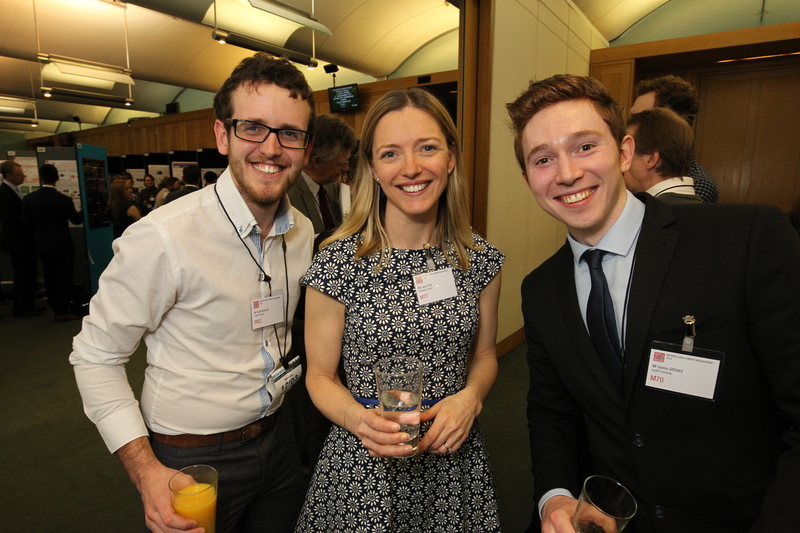 The event gave an exciting flavour of the work of early career researchers in Mathematics, Physics, Biology and Chemistry, covering topics from black holes to fertility to the recycling of household waste. Jane’s poster on ‘Interpreting Cardiovascular Data with Mathematics’ was well received. She was visited by three of the judges during the session who gave positive feedback on both the approach to the analysis of electrocardiogram (ECG) time series and the future applications of this work. The project forms part of Jane‘s PhD thesis supervised by Philip Aston. A full size .pdf version of her poster can be downloaded here. The picture below shows Jane at the reception.